GstarCAD Architecture uses associative and parametric building components to create construction plan drawings based on custom object technologies. 2D drawings and 3D models are generated synchronously to satisfy not only the demand of construction drawing but also the 3D visualization of building. GstarCAD Architecture provides a whole set of professional and innovative functions for construction drawing, e.g. Wall linkage, Bay-window, Object statistics management, Dimension and Coordinate. GstarCAD Architecture can improve work efficiency. By using custom object technologies, display relation between different objects is processed correctly and automatically without any additional edit. GstarCAD Architecture drawings can be opened and handled from DWG FastView via My Cloud, which allows accessing and sharing drawings by different hardware devices anytime and anywhere. The software provides different styles of walls, doors, windows, stairs, columns, roof and other objects. You can create them or edit their properties easily by dialog box or in property palettes. With custom object technologies, all building components drawn on architectural plan are able to be displayed in 3D model synchronously. It realizes the true integration of 2D and 3D in the design process. User can quickly and easily complete dimensioning of wall, door, window, stair, etc. It is also very convenient to insert symbols to drawing as needed, such as arrow symbols, elevation symbols and so on. * GstarCAD Architecture download link provides trial version of the software. Domus. Cad is a program for architectural 3D design which allows you to face 3D design with the same simplicity as a traditional 2D design. 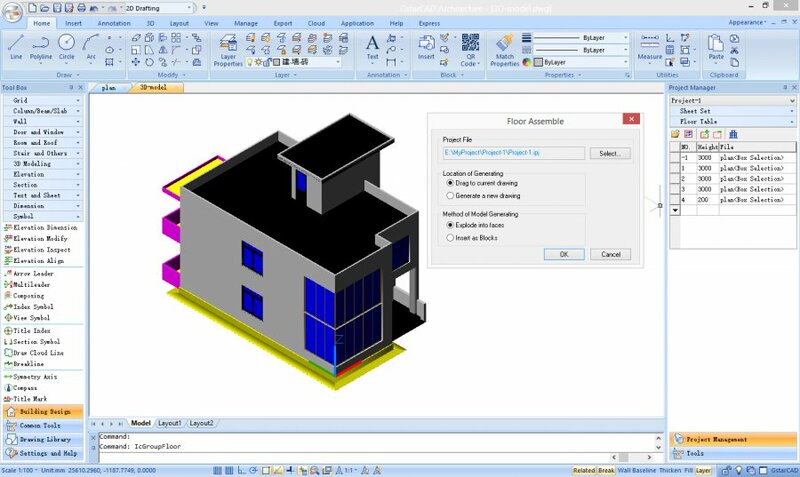 Revit Version:2019 · Autodesk Inc.
Autodesk Revit is building information modeling software for architects, structural engineers, MEP engineers, designers and contractors. SketchUp Pro is the most intuitive way to design, document and communicate your ideas in 3D. 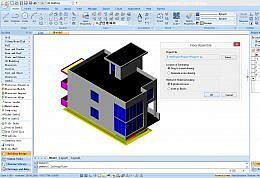 GstarCAD Architecture has been rated 1.0 out of 5 points. A total of 1 votes cast and 0 users reviewed the software.